The Time you Spend Together"
What do the Adventure Guides do? What makes them different from other programs! Pictures from recent events. Parent and Child making memories together. Exciting Nation events coming up! Come out to the ballgame for a great time! After the game, enjoy FIreworks. We'll even get a chance to call players names from the announcers booth. are invited to join us! Although Game time is at 7:05pm, arrive by 6:15 so we can all get seats together! 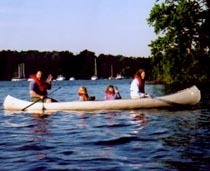 Welcome to the 2003-2004 season of the YMCA Adventure Guides in Bowie Maryland! Nothing communicates more effectively to your child how important they are to you than simply spending time with them. Take the time now before tomorrow becomes yesterday. Be a part of your child's experiences. Create memories with your child that will last a lifetime for both of you! 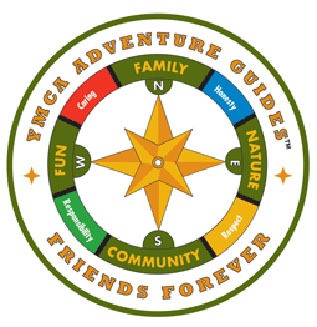 The YMCA Adventure Guides, is looking for adults with children (Kindergarten to 4th grade) to join the YMCA-Adventure Guide program for our 2003 - 2004 season.